A new method for detecting exoplanets has been successfully used for the first time. The technology, which was installed on the European Southern Observatory’s Very Large Telescope (VLT), has provided images of a planetary system previously invisible to astronomers. The technology, known as an Apodizing Phase Plate (APP), works by blocking out the light from the star you’re interested in, thus revealing the objects that orbit it most closely. The APP is basically a small piece of patterned glass which sits on the lens to refract the light waves in such a way that they interfere with each other. Previously, planet’s that have been detected using direct methods, i.e. when the planet itself can be imaged, had to have huge orbits taking them massive distances away from their parent star. Now, by blocking out the glare of the star, planets on much closer orbits can be observed. By far the most successful methods for exoplanet hunting have been the indirect methods, which focus on a star’s gravitational wobble caused by any orbiting objects. This was the method that was used to detect Gliese 581g, but as I wrote last week, indirect methods can leave themselves open to doubt. With this new method, there can be very little controversy as the planet is directly viewed by a telescope. As the technology improves, the smaller planets that are closer to their parent star will become visible. Inevitably leading to a number of possibly habitable exoplanets, being directly observed and not open to any doubt. 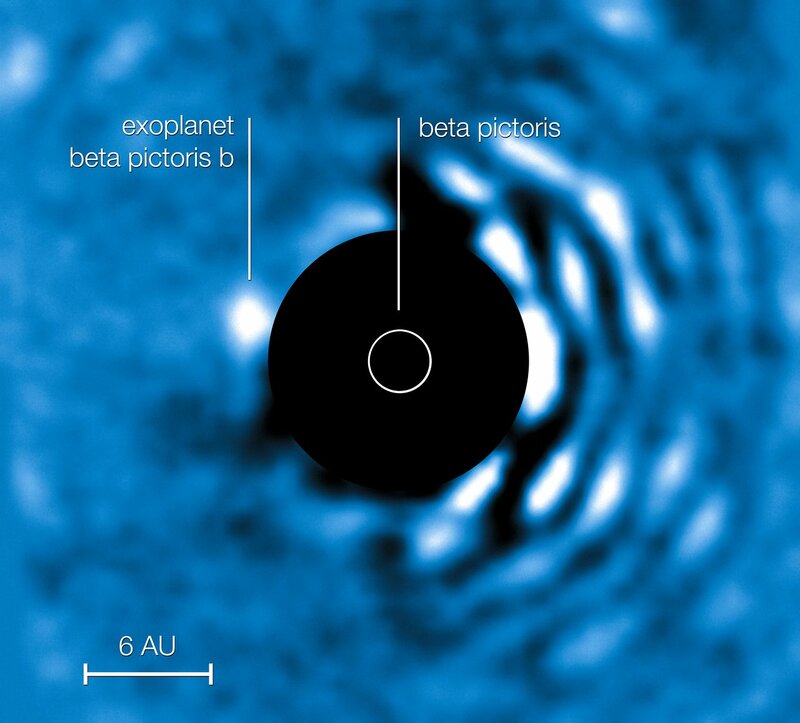 This entry was posted in Astronomy and tagged ESO, exoplanets, habitable zone, optics, VLT. Bookmark the permalink. D’you know, I had no idea that planets outside our solar system had even been properly identified, let alone whole “planetary systems”. This astronomy business is indeed pretty incredible. Also amused by the fact that astromers have called a very large telescope a Very Large Telescope. Was the International Space Station worth it? Enter your email address to subscribe to It's All Relativity and receive notifications of new posts by email.